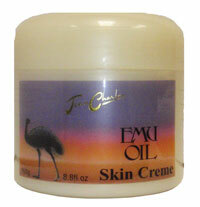 Emu Oil Skin Creme is blended with pure Australian Emu Oil and other natural ingredients, this skin creme will penetrate even the driest of skins. A very rich creme that is non-greasy and non-oily. Absorbs into the skin immediately.